Parasites have been found in sashimi sold in sushi chains which can cause stomach illness, says the Consumer Council. The council also found heavy metal in tuna that breached safety standards. Two samples with roundworm were a tuna sashimi from Genki Sushi in Tai Koo, which also had worm eggs, and a salmon sashimi from Uo-Show in Tsuen Wan. The watchdog said roundworm infection can cause abdominal pain, nausea and vomiting within one to 12 hours of ingestion. If the parasites infected the small intestine, the person may have an abdominal pain and other allergic reactions within five to seven days. In severe cases gastrointestinal perforation may occur. However, the council said it could not determine the species of the parasites or if the roundworms were alive as they had been chemically treated and their presence was small. Such parasites can be killed when the fish is frozen at -20C for seven days or -35C for 20 hours, the watchdog said. "But consumers should note that freezing cannot kill viruses or bacteria, so any fish or shellfish that is not fully cooked or is eaten raw poses a high risk of infection due to Vibrio, Salmonella, Norovirus and Hepatitis A virus, etc," said Nora Tam Fung-yee, chairwoman of the council's research and testing committee. 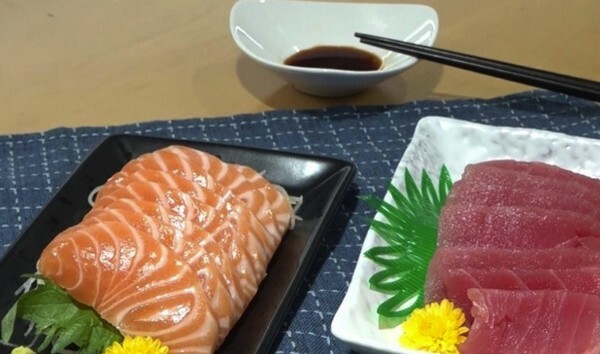 Among the 19 tuna and 31 salmon sashimi samples tested, only a salmon sample from Genki Sushi in Tsuen Wan did not contain methylmercury, an organic compound of mercury which can harm the human nervous system, especially the developing brain. The level of methylmercury in 10 out of 19 tuna samples exceeded the local limit, which is not more than 0.5 parts per million (ppm) in solid food, including those sold in Itacho Sushi in Tai Koo, Sushi Tokumi in Sha Tin and Watami Japanese Casual Restaurant in Tsuen Wan. A sample from Sushi Express in Tsuen Wan exceeded limits by two times at 1.48ppm, while a sample from Magstore Minisupermarket in Wan Chai was found to contain methylmercury at 1.23ppm. The council's chief executive, Gilly Wong Fung-han, urged the manufacturers to follow the requirements in law strictly. She also reminded people to handle the sashimi products carefully. "First of all, you have to consume it as quickly as possible. Don't leave it at room temperature or even in refrigerator if you feel you can leave it to the next day to consume. This is completely wrong," said Wong. Genki Sushi and Uo-Show said they disagreed with the council's test results, saying their food ingredients have always passed the government's food safety test. The Center for Food Safety said it has taken samples from the stores to test based on the information provided by the council.